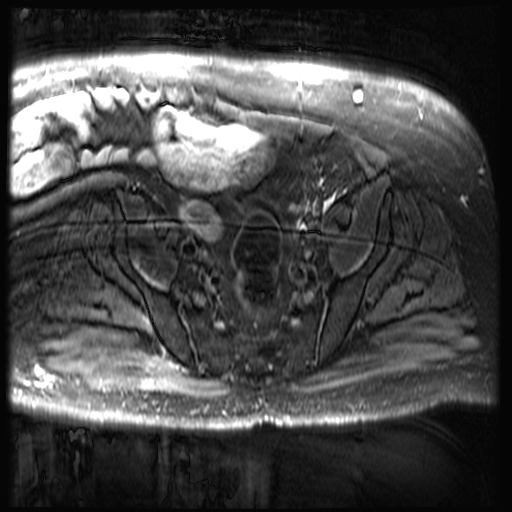 Gluteal decubitus ulcer ( RID5038 ) and tract on the right (figure 1). 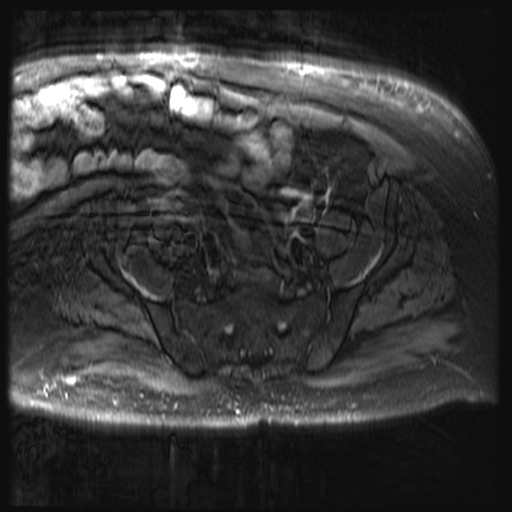 Cresentic fluid hyperintensity is seen at the interface of the ilacus and iliac fossa (figures 2, 3) and is normal, but can be mistaken for periosteal edema. 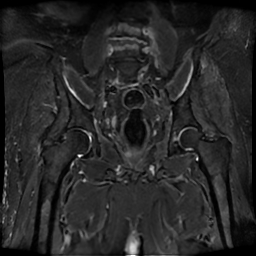 This signal along the posterior cortex of the ilium however would be abnormal. Note also discitis.